This is a screen printed Alexander Lightwood inspired T-Shirt. We all know he is not only the Head of the New York Institute but also our much beloved King of Salt. 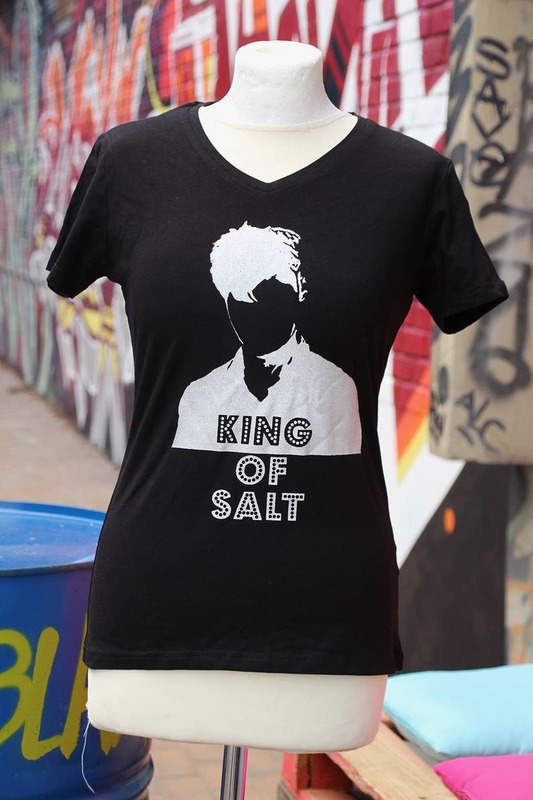 If you want to, you can complete the set with our Magnus Bane inspired T-Shirt to show off the Power Couple that is Malec. The T-Shirt ist handprinted with a beautiful silver sparkling color.